We understand that for some of our guests it maybe more convenient to have your four legged friend chauffeured to their holiday destination and why not! It is a Kennel Resort after all. 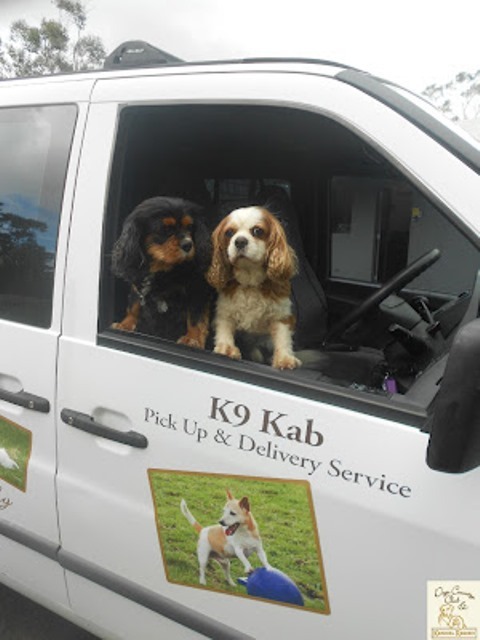 For those who are time poor, or may not have suitable transportation we do offer a pick-up and delivery service for your convenience in our climate controlled K9 Kabs. 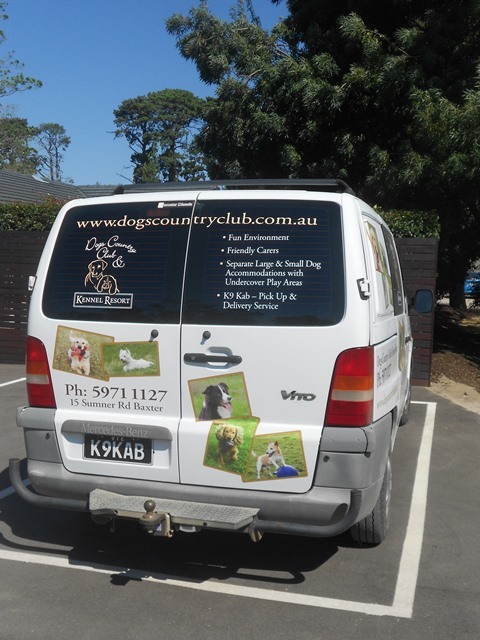 Should you require it, your dog can be chauffeured to and from Dogs Country Club in the safety of either our K9Kab or K9Kab2 Mercedes Vans. With air-conditioning and heating your dog will enjoy the trip to the Kennel Resort in comfort. The K9Kabs operate between the hours of 6am and 10am depending on your location. For information on rates and availability please contact our office. Rates are quoted and charged per trip (not per dog) and include the GST. You can also inquire an approximate time we are in your area however should you book the K9Kab you will be notified the day prior to pick up an approximate time of pick up. If you are using the K9Kab for a return trip then please ensure that you call us on arriving home, no matter what the time, and leave us a message confirming you are home to receive your dog. We will endeavour to send you an SMS reminder the day before you are due home. If you do not confirm then your dog will remain at the resort until we hear from you. If you have any delays in your return home this means your dog will be safe and sound until you do get home and you won't need to worry.